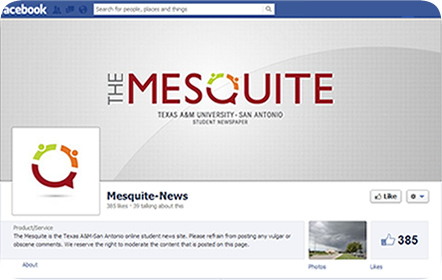 The Mesquite is Texas A&M University San Antonio’s online student newspaper with information and breaking news concerning the university and the rest of San Antonio today. 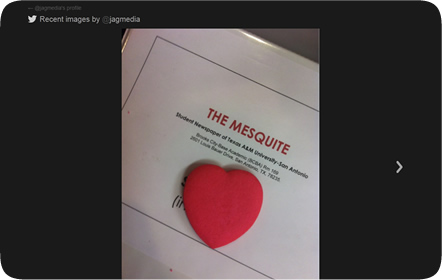 As an online newspaper, it was key for The Mesquite to be able to relay the most recent news and quick updates to their followers. 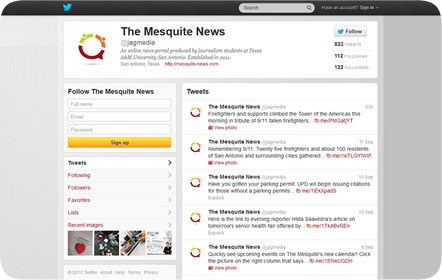 Through Twitter, The Mesquite can easily share the latest content from their website, with links for one-click access to individual articles and topics. Previews of upcoming articles are also provided on their Twitter feed to catch their followers’ interests. Their Facebook fan page gives people another way to connect with them through their social media. Other students can post articles and updates involving the university for others to see and share easily. 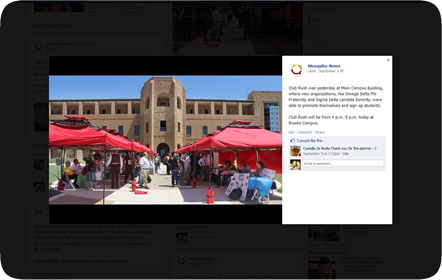 Many of their Facebook updates also involve the campus with reminders for students for various campus events and deadlines.